As winter approaches in the northern hemisphere, summer beckons in the south. This is the time to take a few days off and follow the sun! 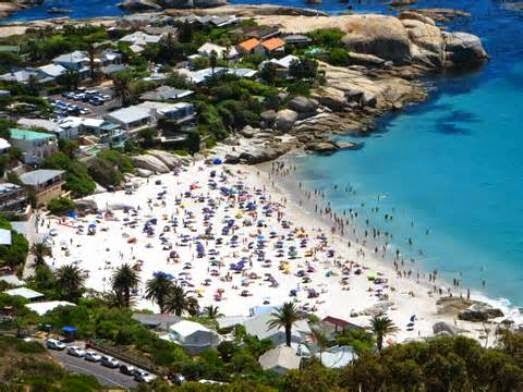 The best place to catch the sun in the end of year holiday season is without doubt Cape Town. 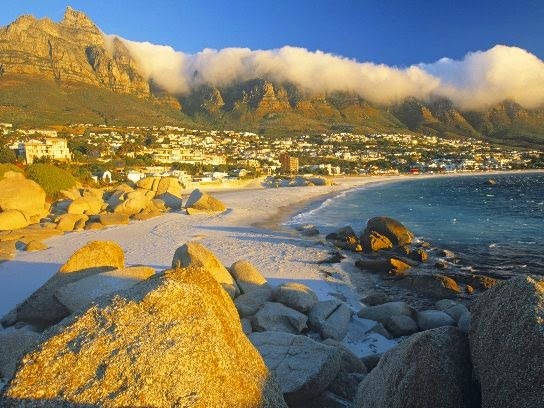 Cape Town's claim to being the most beautiful city in South Africa is undisputed. 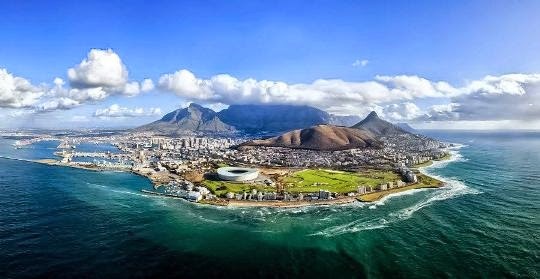 And seasoned travel writers readily accept the merit of Cape Town's claim that is indeed one of the most beautiful cities in the world. The city is blessed with unrivalled gifts of nature. The mighty kilometer high flat top Table Mountain dwarfs even the most ambitious skyscrapers in the business district. The city is surrounded by glorious landscapes, stunning beaches and a bounty of unique vegetation. Where else do you have a choice of the cool Atlantic Ocean and the warmer Indian Ocean? But Cape Town offers much more. 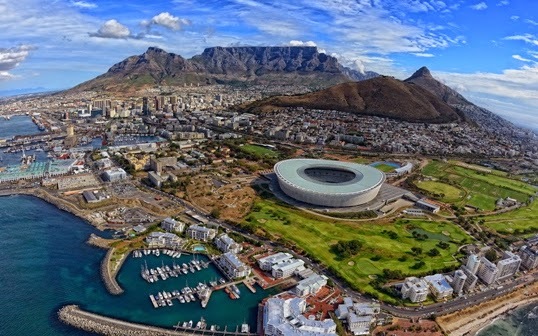 It is reputed to be the most open-minded and relaxed city in South Africa and is one of the safest cities in Africa for visitors. Action hero Jean-Claude Van Damme visited the city in 2003 to shoot an action thriller and declared: "I love waking up in this city with the sea around me and the fresh air. The people are young with fresh and warm personalities and are friendly and it's a country full of hope." The movie was shot in the city and around the harbour and some local funs got to see Van Damme at the waterfront. This is the same country that has produced some of the most inspiring people of our times. Desmond Tutu - the Nobel Peace Prize winner and past leader of the Anglican flock in Cape Town, for example. And of course Nelson Mandela. Take a boat trip to Robben Island, one of the hottest destinations for overseas visitors. This is where Nelson Mandela nearly lost his sight quarrying lime during his long imprisonment. Make sure to get to the summit of Table Mountain by cable where you will enjoy some unforgettable views. Northwards of the city center is the Victoria and Albert waterfront- a trendy shopping and entertainment complex. It is packed with art galleries, art and craft shops, restaurants, taverns, cinemas, theatres and an aquarium. It is easy to see why many beautiful people converge here. It is when in Cape Town that you will understand why Desmond Tutu named the country as the "Rainbow Nation". The peoples here have roots in the four corners of the planet and together give the city its vivid colours. Cape Town is well connected to one of the most popular travel destinations in South Africa: the Garden Route. The Garden Route is the southern coastal area starting west of Cape Town at Swellendam and ending at Humansdorp just before Port Elizabeth. The Garden Route is probably the most scenic journey you will ever make. You encounter soaring cliffs, wide beaches, semi desert, rocky coves, rain forests, tranquil lakes and rugged mountains. The area is good for watersports and the weather allows this year round. A visit to the wine producing regions can also be staged from Cape Town. If you are short of time, head for picturesque Stellenbosch just a 45-minute drive away. The Garden Route tour usually starts from Cape Town with a stop at Mossel Bay. This otherwise uninspiring town is famous for its Post Office Tree, where sailors would leave letters hanging in a boot to be picked up by those headed towards the country where the letters were addressed. Then to Oudtshoorn and George, a transport hub for the area. Afterwards, Wilderness National Park a good place for birding and canoeing on your way to the artist colony of Knysna and Plettenberg Bay. Plettenberg Bay, the "millionaires' playground" is South Africa's trendiest resort. Then to Tsitsikamma National Park known for its nature trails, giant trees and caves. A little ahead of Humansdorp is Jeffrey's Bay, reputed to have one of the world's best surfing beaches. Water sports are big in South Africa. Whale watching and shark-cage diving (with great white sharks) is possible in the Cape area. The best time to spot these sea giants is from June to September. In the last week of September the annual Whale Festival is held at Walker Bay. Diving facilities are good in the area and wreck diving in particular is widespread around the Cape. For fishing enthusiasts, the Cape of Good Hope has one the world's richest fishing grounds. At the confluence of the Atlantic and Indian Ocean currents is to be found large shoals of tuna and swordfish. For those brave souls seeking hair-raising adventure, there is an excellent opportunity for bungee jumping at the bridge over Blaukrans River. This has one of the world's highest drops. There are also many beautiful golf courses in the Cape Town and Garden Route area. The best time to play is the cooler months of May to September. The President's Cup of 2003 was held at the Fancourt Hotel and Country Club at George right on the Garden Route. This event is a match play competition with the world's best international players. The best period to visit the Cape region is over the summer months November-February. The rest of the year is usually cool, rainy and windy. Most people then find it quite challenging to engage in swimming and water sports. There is a wide range of hotels in Cape Town and the Garden Route area. Top range 5 star hotels and other rated hotels are found throughout the region. Other accommodation options include motels, guesthouses, bed and breakfasts, farm holidays, beach cottages, holiday flats and bungalows. The Cape region is now a much sought after destination and advance booking is necessary during the summer season (October-April). With prior planning it is possible to get good value and affordable holiday stay.